This is the E5 power chord. This version of the chord contains three notes: The root note (E), its perfect 5th (B), and its octave (E). 1. Almost like a bar, place your index finger on the A and the D strings, behind the 2nd fret. 2. 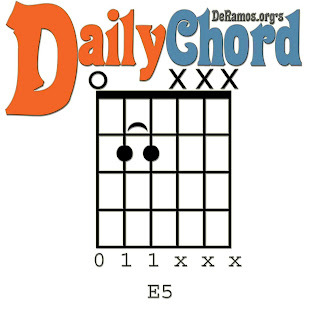 Strike the Low E, A, and D strings for that E5 power chord!